The Performance & Enablement Zone focuses on activities designed to produce results and positive ROI in less than a year. The Transformation Zone concentrates effort on activities geared to generate ROI in a 1 - 3 year period. 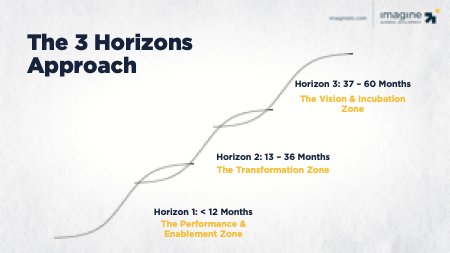 The Transformation Zone is the crucial performance timeline responsible for transforming ideas and innovations into reality. The Vision & Incubation Zone is longer term and is dedicated to activities that could produce results beyond three years. If you implement and orient your strategic planning, resource allocation and execution plans around these three horizons, you’ll create greater clarity and accountability for your company. But knowing how to manage this approach--and as importantly, who within your organization should be managing each zone is just as important as understanding the overall concept. After all, that’s where many companies go wrong. Part of this is due to the fact that SMBs have limited resources, and it may make sense from that perspective to put a VP of sales in charge of transformation and revenue expectations. When this happens, both zones get mashed-up and the outcome tends to be a focus on performance, with hit-and-miss transformation. The company may continue to hit its number, but the underlying approach is weakened. 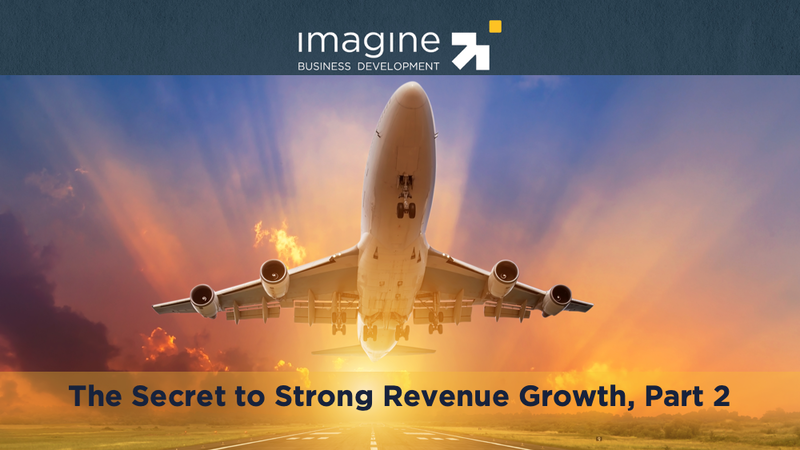 Implementing a new approach in an existing growth business is much like changing the engine of a plane while it’s in the air. While at first, it sounds like an impossible task, if you follow the three horizon approach, it becomes much simpler, less risky, and far more likely to stick and succeed. The key to a successful transformation strategy is to minimize the change that is required in The Performance Zone (which is what is currently driving results), even if what you’re doing is wrong. Placing unreasonable expectations on a new initiative is a recipe for destroying the old and the new. The Transformation Zone allows your team to stay focused on hitting the revenue needs of The Performance Zone, while the new initiative is getting refined and The Enablement Zone is building out the systems and programs needed for success. Then, as the initiative begins getting traction, attention can begin to shift and the company gains strength and momentum. 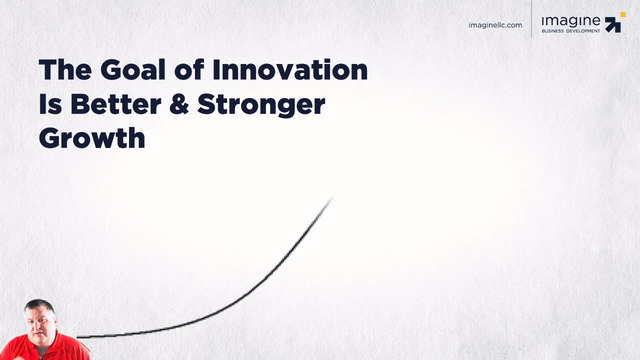 Get the full scoop on transforming innovation into your competitive advantage by reading the whole article here.